While 2016 hasn't been so great for — let's face it — anyone, it certainly hasn't seemed to bring Ava DuVernay down. This year, she created the OWN drama, Queen Sugar, which focuses on three siblings who inherit their father’s ailing 800-acre sugarcane farm. At its core, the show is about black women who are holding things together for everyone else, never expecting or getting a thank you. It's a story one rarely sees on TV, let alone, led by a team of women. DuVernay directed the first two episodes of Queen Sugar and then reportedly enlisted seven talented women to direct the remaining 11. A miracle really, being that The Directors Guild reported that the 2015-2016 TV season saw more female directors, but it was only a “slight” improvement, increasing from 15.8 percent of episodes in the 2014-15 season, to 17.1 percent the following season. Back in May, DuVernay posted a photo of herself with fellow Queen Sugar directors, Tanya Hamilton (Episode 6) and Victoria Mahoney (Episode 5), on Instagram and wrote, “There are more women directors in the Queen Sugar edit suites right now than at most studios all year long. Jus sayin’.” And, when the director of the Oscar-nominated Selma and Netflix documentary 13th about America's mass incarceration problems speaks, people definitely listen. DuVernay's unquestionably the most famous female director working right now. With her adaptation of A Wrinkle In Time, she is the first female director of color to helm a film with a budget over $100 million. She's only the third woman ever to have this opportunity. But she's not interested in basking in that glory, she's instead working to make sure she doesn't keep that title for too long. For DuVernay, her success seems to mean nothing unless it yields a positive change to the Hollywood system. So far, so good. In a new interview with Vulture, the women who were given their first TV break with Queen Sugar talked about how life-changing the opportunity has been. And lucrative — the directors on the show have landed jobs at TV shows like Transparent, American Crime, and Grey’s Anatomy. "What Ava did ran counter to everything I have been told in every meeting I have gone to, which is that you can’t get the job because no one will hire you without previous experience, but nobody will give you that first opportunity so it’s a catch-22,” Hamilton, who directed the indie film Night Catches Us, told Vulture. “What’s great is that Ava proved that it’s just nonsense.” That's because she knew from her own experience. In an August interview with The Hollywood Reporter, DuVernay explained that it was Shonda Rhimes who gave her a chance to direct her first TV show after her 2012 feature debut, Middle of Nowhere, won at Sundance. Rhimes asked her to direct an episode of Scandal and then the offers started rolling in from there. "So I know what one episode of television can do for someone who hasn't had it before," she said. Like Alexander Hamilton, DuVernay knows how important that one shot can be, and she's willing to pay it forward without anyone telling her she can, because she knows they probably never will. 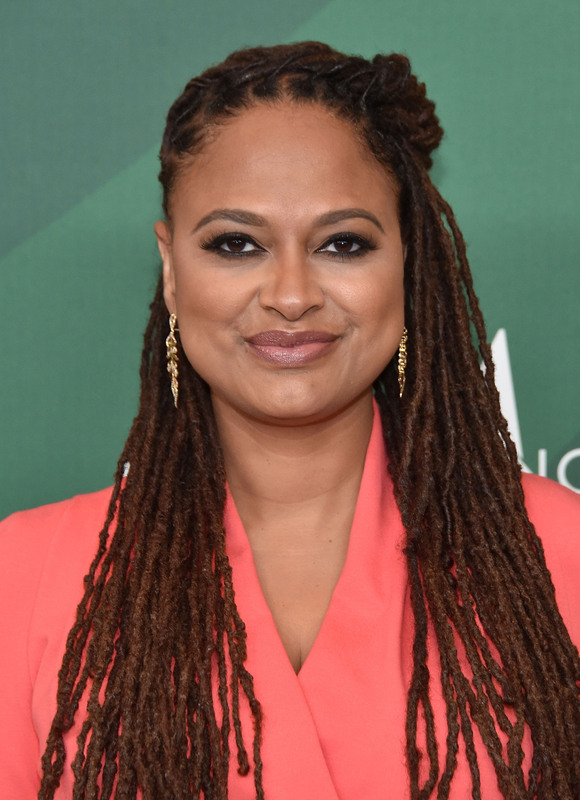 DuVernay's share-the-wealth attitude feels perfect for this political climate where women, specifically minority women, may be in danger of feeling marginalized by a president-elect, who seems to think it is OK to speak of women in degrading ways. Women need a support system like the one DuVernay is singlehandedly creating. One that takes an "all for one and a one for all" approach to making sure all women are better represented in a field that just won't change quick enough. And she's leading by example. Her decision to hire all female directors for not only Season 1, but Season 2 of Queen Sugar, which goes into production next spring, led Jessica Jones showrunner Melissa Rosenberg to follow suit. Rosenberg announced to Variety she will be hiring all female directors for season two of Jessica Jones. By just taking a chance that many others seemed unwilling to take, DuVernay is helping make the world better for all women. She's making the female experience — both in front of the camera, through strong female characters, and behind the camera, through strong female directorial teams — the new normal. She's doing it one project at a time with a whole lot of women by her side. For next four years, it's something women shouldn't just find solace in, but should imitate. Following in DuVernay's footsteps doesn't just apply to Hollywood; it's applicable to anyone who would like to see things change for the better. Take a chance on someone. Who knows, it may just change the world.